Why offer your visitors just any chair, when you can seat them in style and luxury in this beautifully designed Traditional Captain Chair? 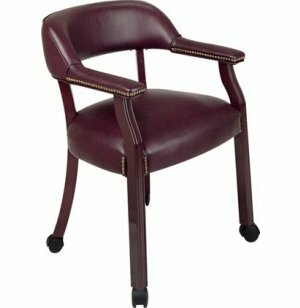 The thickly padded seat, back and armrests provide superb comfort for hours, so don't worry if your meeting runs a little later than expected. 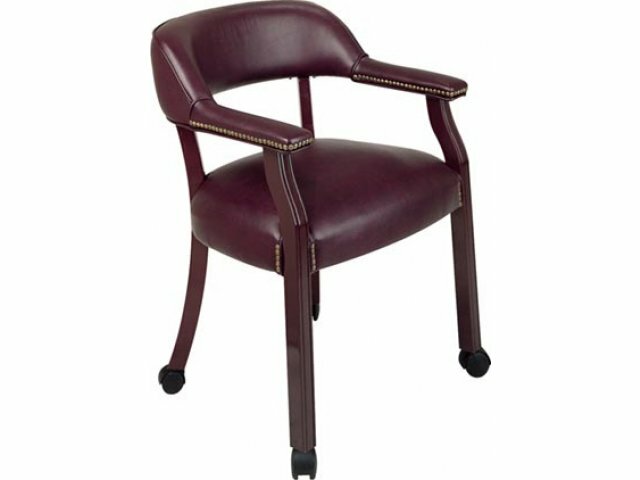 The classic, curvy shape of the chair is enhanced by the rich oxblood color of the vinyl and the mahogany finish of the graceful wooden legs. Seat Size: 26"W x 20"D.
Back Size: 23"W x 8"H.